Could your mindset be hindering your weight loss goals? Here we are at the end of the first month of the year. How are you doing with those New Year’s Resolutions? Every year, at the beginning of a new year, I hear about people wanting to lose weight, get in better shape, exercise more, etc. As a San Jose personal trainer, I love to hear that people are making efforts to improve their health and fitness! However, right about now, in the 4th or 5th week of the new year………I start to see things unravel for some well-intentioned people. What happened to all those good intentions? I think the reasons for people “falling off the fitness wagon” are as numerous as the people who have those good intentions :-). Today I’d like to address one reason that I see a lot. 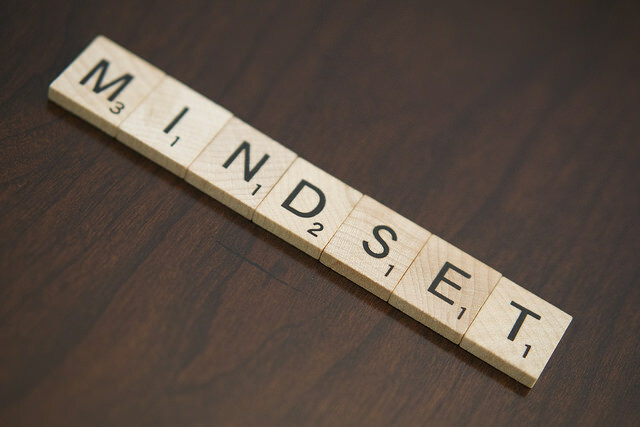 In her book, “Mindset” , author Dr. Carol Dweck describes the “growth mindset” and the “fixed mindset”. Bottom line on mindsets according to Dr. Dweck’s research: The view you adopt for yourself profoundly affects the way you lead your life. I’m no expert at mindset psychology, but I’d venture to guess that some people who falter on their fitness goals do so because of a fixed mindset. The self-talk they throw at themselves and the language they use when trying to adopt a healthier lifestyle (example: “I can’t eat that”) hinders them from seeing the process of habit/lifestyle change as a process they’ll learn and grow from. If you think your mindset or self-talk might be getting in your way with regard to your health and fitness goals, I made a short (6 minute) video for you with a couple of simple things you can try to shift from a fixed mindset to a growth mindset . Any kind of change or improvement we wish to make within ourselves takes learning new skills and perseverence. Think of your goals of improved health and fitness more as a journey than a destination. Enjoy and learn from the journey! Consider set backs as times to learn and improve. If you’re here in San Jose, please reach out if I can help you on your journey! Fast and Easy Weight Loss in San Jose? Do We Really Need Nutrition Supplements?